https://www.youtube.com/watch?v=unlDMqehMus If you want to know any and everything about Quicksilver, one man knows it all. He is even more knowledgeable about the aircraft than the company(ies) that have owned the brand as he's been associated with Quicksilver for 40 years, through every owner of the California company. His Lousiana company, Air-Tech, now possesses all inventory and tooling for every part the manufacturer made. He and his team can and will support all parts needed for any model... a great thing. Hear from this interesting fellow in this video. 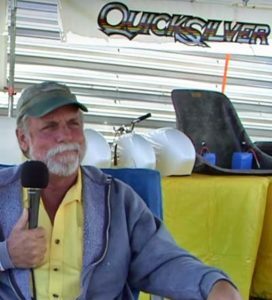 If you want to know any and everything about Quicksilver, one man knows it all. He is even more knowledgeable about the aircraft than the company(ies) that have owned the brand as he’s been associated with Quicksilver for 40 years, through every owner of the California company. His Lousiana company, Air-Tech, now possesses all inventory and tooling for every part the manufacturer made. He and his team can and will support all parts needed for any model… a great thing. Hear from this interesting fellow in this video. Quick Update on Quicksilver… Parts Are Shipping! Quicksilver Aeronautics achieved Special LSA status for their side-by-side two seater, Sport 2SE. Bever, his family (wife Kim and son Ken) have operated the Louisiana company for decades, in fact, they can celebrate their 40th year in business in 2017. I doubt anyone in the world knows more about Quicksilver products including all their history. If the Bornes tell you something about the former California company's aircraft, you can accept it as gospel. "We've been shipping kits and are always packing more," Bever added. "We have a great crew." Given his reputation and long time in the business, Air-Tech needs to do little advertising. Everybody who needs to know already knows how to reach them. "Our time is spent on the appropriate media forums and those with needs are being helped," Bever clarified. Keep up with Air-Tech on Facebook. When Quicksilver was about to close their factory, Bever traveled west to negotiate and eventually acquired all the inventory and some of the (more modern) tooling and brought it all back to Louisiana in a caravan of semi-trailers. It was a massive undertaking but assures all the right components remain available. Therefore, if you need factory-original parts, you can still get them ("Whew!" ...for many owners). Yet what if you want a kit? Way back in 1993, Quicksilver won the very first Primary Category approval from FAA. That program never got any legs and the company sold few with this registration. Air-Tech can supply them but as Bever cautioned, "I have absolutely no desire to produce 100 kits per year." After many years in the business, the Quicksilver expert prefers "a comfortable pace." Apparently only one exception to parts supply remains outstanding. "The GT500 is a little bit different as I am lacking the aft boom tube drill fixture," reported Bever. I'll bet if the need arises, he and his team will figure something but the good news is that would be a rarely needed part. He added, "I stay close with the Von Hirsch family [that ran Quicksilver Manufacturing for many years before selling it to Quicksilver Aeronautics]." Bever also noted that original design engineer Dave Cronk, presently enjoying his own slower pace in Moab, Utah, is still available for technical details. "He's an endless wealth of knowledge," said Bever. In December 2016, Bever was contacted by the current owners of Quicksilver Aeronautics. "They have been going back and forth on a plan," he said. "If something develops, fine. If not, that's fine as well. We're busy." Quicksilver owners can breathe a deep sigh of relief. Air-Tech is on the job! Those visiting Sun 'n Fun 2017 can find Air-Tech in Paradise City. * Quicksilver was once a supplier of hang gliders before anyone ever heard of anything called an "ultralight." 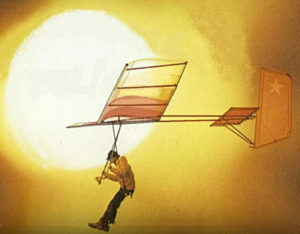 The company, originally called EipperFormance, made delta-wing-shaped hang gliders, which they sold by the thousands. A slightly different hang glider was an unpowered, foot-launched, wing-and-tailplane glider to which a small engine and landing gear was later added yielding, after much evolution, the Quicksilver you see in the lead photo. One of the major stumbles in the light aircraft world was the closure of Quicksilver Aeronautic’s southern California factory in Temecula. That ended a long-running era dating back to the 1970s. See articles here and here. Plenty of folks expressed concern. Their worry was warranted. As a kit supplier, Quicksilver was one of the most prolific in aviation history with more than 15,000 kits delivered, nearly every one of which got airborne after the short build time. Some have been retired due to age, accident, or neglect, but many thousands continue to fly. What happens when that large fleet can no longer buy parts? With the factory closed, are all those owners orphaned, having no factory-fresh parts available? Don’t worry, be happy (so the song said). “We currently have all the Quicksilver parts in stock and are shipping mass quantities daily,” said Gene “Bever” Borne, of Air-Tech, Inc. In this video, we think you will see something unusual. This is a 1991 Quicksilver GT500 that looks as though it just rolled off the assembly line. That may be common in vintage aircraft but here's one you can afford and which nearly anyone can fly. Longtime Quicksilver expert, Todd Eleffson went through this particular GT500 from nose to tail beautifully restoring it. A friend who asked me about it bought the plane before AirVenture 2015 ended because it was an excellent value. More of this is coming as Quicksilver are common around the world. In this video, we think you will see something unusual. This is a 1991 Quicksilver GT500 that looks as though it just rolled off the assembly line. That may be common in vintage aircraft but here’s one you can afford and which nearly anyone can fly. Longtime Quicksilver expert, Todd Eleffson went through this particular GT500 from nose to tail beautifully restoring it. A friend who asked me about it bought the plane before AirVenture 2015 ended because it was an excellent value. More of this is coming as Quicksilver are common around the world. Quicksilver's Sprint has long been a great little airplane. Versions of it have sold many, many thousands of units and they consistently deliver good flying qualities with an excellent safety record. However, some may seem a bit underpowered. Not any more! With Hirth's 50-horsepower F23 twin cylinder engine, Max 103 is highly energetic. Here how it was done on this video. Quicksilver’s Sprint has long been a great little airplane. Versions of it have sold many, many thousands of units and they consistently deliver good flying qualities with an excellent safety record. However, some may seem a bit underpowered. Not any more! With Hirth’s 50-horsepower F23 twin cylinder engine, Max 103 is highly energetic. Here how it was done on this video. Quicksilver has now completed all the flight testing for the most popular kit to qualify it for Special Light-Sport Aircraft acceptance by FAA. In this summer 2013 video, we speak with Daniel Perez, the Chief Operating Officer for Quicksilver about the challenges in taking an already-successful airplane through the ASTM standards. Daniel gives a review of what all they did and why. This will be one of the most affordable aircraft in the SLSA space and the Quick 2S may meet the need. Quicksilver is an iconic brand, having sold more than 15,000 aircraft in its history. Pilots around the world have flown Quicksilvers and many are flying in the USA to include flight schools. In this video we speak with sales director Todd Ellefson about the strutted Quicksilver Sport 2S mated to Puddle Jumper amphibious floats. We speak about the experience of flying the float-equipped 2S model. You can build it in 100 hours, but the company is nearing completion of an fully manufactured SLSA version of this popular aircraft. Quicksilver is one of light aviation's strongest brands, and also one of the biggest with more than 15,000 delivered since the early 1970s. 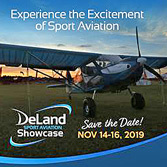 In this video we speak with national sales guru Todd Ellefson about the company's plans to achieve Special Light-Sport Aircraft status meaning you will be able to buy a ready-to-fly GT500 or Sport 2S model. Kits will remain available and you can hear about other operations to provide models to enthusiasts. Quicksilver is one of light aviation’s strongest brands, and also one of the biggest with more than 15,000 delivered since the early 1970s. In this video we speak with national sales guru Todd Ellefson about the company’s plans to achieve Special Light-Sport Aircraft status meaning you will be able to buy a ready-to-fly GT500 or Sport 2S model. Kits will remain available and you can hear about other operations to provide models to enthusiasts. MIDWEST LSA EXPO 2012 -- One of our series of many short videos from the fall show, this one on the MX Sprint. We look at an homebuilt version and that means it can be modified by the owner as this one was. This short video (3 min) give you some basic info and leads you to more about Quicksilver Aeronautics, now under new, motivated management. Take a part of the Midwest LSA Expo tour. MIDWEST LSA EXPO 2012 — One of our series of many short videos from the fall show, this one on the MX Sprint. We look at an homebuilt version and that means it can be modified by the owner as this one was. This short video (3 min) give you some basic info and leads you to more about Quicksilver Aeronautics, now under new, motivated management. Take a part of the Midwest LSA Expo tour. Quicksilver is arguably THE most successful light plane manufacturer of all time. More than 15,000 have been delivered to more countries than any brand. Still available for around $20,000 the 40-80 hour kit may be the best organized of any kitplane. 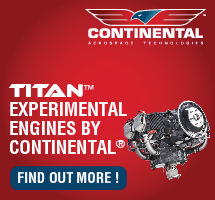 The company also makes the GT series and the GT-500 was the first-ever Primary Aircraft to be certified. For open cockpit fun flying at a low cost, Quicksilver is nearly impossible to beat. Quicksilver has a simple enough product line composed of single seaters and two seaters for an MX line and GT line. Each has been highly successful and all have an enviable safety record. They also don't cost much. All are kit aircraft like this one built by Steve Watt. The hours are low as the build manuals are some of the very best in the business. More than 15,000 Quicksilver models have been sold. Quicksilver has a simple enough product line composed of single seaters and two seaters for an MX line and GT line. Each has been highly successful and all have an enviable safety record. They also don’t cost much. All are kit aircraft like this one built by Steve Watt. The hours are low as the build manuals are some of the very best in the business. More than 15,000 Quicksilver models have been sold. Many times I've written that Quicksilver is arguably THE most successful seller of kit aircraft in the world. Some aviators might retort, "No way! Van's Aircraft is the largest kit builder." In total kits, at least portions of kits, that's surely true. Van's reports more than 20,000 tail kit-type deliveries have been made. Even more impressively, their completions — aircraft fully built and registered with an N or other number — now exceed 9,460 and I would never take away from their success with multiple designs nor would I diminish their highly-regarded business integrity. Nonetheless, with Quicksilver having delivered more than 15,000 full kits, the vast majority of which were built and flown, they may be the most successful deliverer of complete aircraft kits in history. Assembling a Quicksilver kit takes around 80 hours and some adept folks can do it in a week. Putting together a Van's RV-series aircraft takes a longer committment, sometimes years. Recently I got a long "post mortem" letter from Will Escutia, the CEO of Quicksilver Aeronautics, the last company to own the iconic brand. The letter is too long to reprint here (nor did Will intend I do that), however, I can pull a few items that may be of interest. "We launched an effort and obtained relatively quickly the 'compliant seal' of the FAA showing that all the kits met the 51% rule," said Will. "Dealers had complained that without it, the customer was not really certain that they could obtain the registration as Experimental Amateur Built once complete and therefore the dealers lost sales. "We launched a worldwide campaign to increase the number of dealers ... generating interest in 20 countries. We were able to sign new dealers in California, New York, China, El Salvador, South Africa, and France. At that moment we had dealers on every continent." He continued, "An 18-month effort that cost between $200,000 and $250,000 ended in the successful unveiling of the Sport 2SE. The aircraft was nicely equipped, strengthened, and new sharp looking wing designs were used for the first time. The ready-to-fly price was set at $40,000 although in practice we gave significant discounts." Unfortunately, sales were not as vigorous as a study had lead them to believe. I can imagine several reasons for that. The man. The legend. It's "Bever" Borne and if you don't know him, you want to ...catch the video below and you will see why he's so likeable. None of these and other efforts moved the needle enough. Will faults difficulty in buyers obtaining credit or insurance, regulations that are too burdensome, and the large number of used aircraft of all kinds on the market. At this point efforts are ongoing to find a manufacturer who could integrate Quicksilver SLSA production into their existing business. "We are trying to make it work," Will concluded. However, the really great news for the legions of Quicksilver fans is that the most solid of all Quicksilver supporters is now the owner of all the essential hardware and replacement parts for this very successful set of designs. In addition, Gene "Bever" Borne has long and very successfully been a supplier of components of his own. The video below will tell Bever's story and it should bring immense relief to all who love flying Quicksilver ...including your faithful author; I have flown every Quicksilver model except the Super and enjoyed every minute. If having a bit of fun in the air without spending a fortune is of interest to you, I encourage you to contact Air Tech and see what they can do for you. If nothing else, Bever or his son Ken will bring a smile to your face with their Louisiana-style sense of humor. I enjoy talking to these fellows and bet you will, too. The video below adds dimension. Coming up soon — September 8-9-10, 2016 — is the Midwest LSA Expo. Videoman Dave and I will be present to report on around 50 aircraft on display. I hope you can join us. Get more info: Midwest LSA Expo. Many times I’ve written that Quicksilver is arguably THE most successful seller of kit aircraft in the world. Some aviators might retort, “No way! Van’s Aircraft is the largest kit builder.” In total kits, at least portions of kits, that’s surely true. Van’s reports more than 20,000 tail kit-type deliveries have been made. Even more impressively, their completions — aircraft fully built and registered with an N or other number — now exceed 9,460 and I would never take away from their success with multiple designs nor would I diminish their highly-regarded business integrity. Nonetheless, with Quicksilver having delivered more than 15,000 full kits, the vast majority of which were built and flown, they may be the most successful deliverer of complete aircraft kits in history. All photos with this article were shot by pro aviation photographer James Lawrence, whom interested parties can contact through his website. Aviation news outlets and social media are buzzing with the news that Quicksilver Aeronautics is closing its factory. For example, Aero-News Net — always a quick reporter of such news — is calling the event a "dissolution." This is not incorrect; it comes directly from a document previously issued by Quicksilver's lawyers (see more below). However, letters from lawyers often portray things in very black and white terms and the situation is somewhat more nuanced than that. For several years, I have known the principals of the company — Will Escutia and Daniel Perez — and spoke with both of them this morning (Tuesday, October 20th, 2015). What follows is directly from the horse's mouth, as they say. In any such fluid situation, the news is more difficult to accurately report because not every decision is made. For example, if the company was bankrupt and going completely out of business (which phrase was used by another aviation reporter), the predicament might simply be reported as such. Yet that is not the case according to Quicksilver president, Will Escutia. "We will not manufacture from our California plant," started Will. "We cannot support the structure of a physical plant in California." Many businesspeople know that running an enterprise in the Western state is very complex, with extensive regulation of even the smallest company. California also presents a very challenging employment environment, where an employee can cost much more than the hourly wage or salary they are being paid. Quicksilver is also using equipment to manufacture that is increasingly aged. Those tools are fine for the job and anyone who seen a Quicksilver kit can instantly recognize the quality. However, times have changed and older manufacturing hardware has given way to new methods so while dealing with higher cost labor, Quicksilver has to maintain factory implements that demand more attention. All this became too much to support by the business available. Sales of aircraft, which had been more robust, became insufficient when volume turned down even a small amount. The official words blessed from company lawyers are succinct, "The international corporation, Flying Spirit Aircraft, that owns the intellectual property rights, is working through third party suppliers to make it possible for customers to continue receiving support including technical support for its SLSA. "It is contemplated to provide replacement parts through third party companies and based on demand, these third party companies may elect to supply full kits later on. An auction will be held on November 3rd, 2015 to talk with interested parties in Temecula, California." Dan Perez functioned as COO or General Manager. He recently informed dealers and other insiders, "Running a business that includes a strong manufacturing component is complex. Fixed costs are quite high since we have two buildings, personnel to operate equipment, and engineers to solve problems. We have to pay for maintenance, building insurance, utilities and other overhead." Anyone who has operated any kind of manufacturing plant knows exactly what Dan wrote although private buyers may not recognize the day-to-day difficulties. "In order to offset these costs, sales of aircraft are needed in addition to the usual replacement parts, otherwise the stress on the business becomes unbearable," Dan continued. "Although we saw an increase in aircraft sales from 2012 to 2014, 2015 has turned out to be a year with lower demand. Tremendous efforts were placed in order to reduce costs dramatically. However, this has not been enough and therefore a very significant reorganization of the company is underway in order to have a much, much leaner company with much lower fixed costs." "In 2015, we were operating below breakeven so our debt was increasing," said Will. Instead, he stated, "We plan to follow an outsource model," which he explained means that they are negotiating with third parties, including some very longtime Quicksilver outlets such as Lousiana's Air-Tech. Indeed, Air-Tech principal Gene "Bever" Borne has been associated with Quicksilver aircraft decades longer than the current owners. "Liquidation became the way to go, so we can do something else," continued Will. "We will liquidate the inventory and tools to pay off debt, but we will continue to work with third parties." "First, we want to assure availability of parts and components," added Will. It is presently unknown how the company will handle fully-built aircraft. 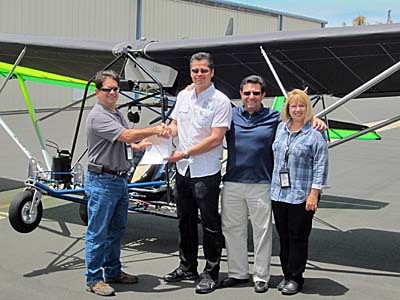 As reported here, Quicksilver won FAA acceptance in July 2014 to make a Special LSA version of their Sport 2S. While most readers and nearly everyone in aviation knows Van's Aircraft is perhaps the largest seller of kit aircraft (at more than 20,000 delivered, according to last reports), Quicksilver is the kit giant of aviation. More than 15,000 of their kits have been delivered and nearly every one of these is flying all over the world. Van's is nearing the 10,000 mark of completed aircraft. While those RV models are more complex aircraft, the build effort for which is more significant, the fact remains that Quicksilver is aviation's success story regarding kits that are owner flown in large numbers. However the story unfolds in the weeks and months ahead, I expect Quicksilver aircraft models to continue to fly and to be sold. If owners Escutia and Perez are successful in selling the assets in an auction coming up on November 3rd, Quicksilver manufacturing may go on relatively smoothly. Regardless of the auction outcome, some enterprise or collection of enterprises are certain to continue to make parts and service a fleet of many thousands. I will keep reporting this news as it develops. Please click back often. Watch our video interview with longtime Quicksilver national sales representative, Todd Ellefson to see a beautiful GT500 restoration, an example of how these desirable aircraft will continue flying despite the current turmoil. Aviation news outlets and social media are buzzing with the news that Quicksilver Aeronautics is closing its factory. 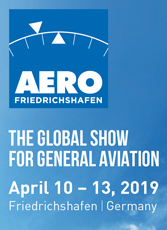 For example, Aero-News Net — always a quick reporter of such news — is calling the event a “dissolution.” This is not incorrect; it comes directly from a document previously issued by Quicksilver’s lawyers (see more below). However, letters from lawyers often portray things in very black and white terms and the situation is somewhat more nuanced than that. For several years, I have known the principals of the company — Will Escutia and Daniel Perez — and spoke with both of them this morning (Tuesday, October 20th, 2015). What follows is directly from the horse’s mouth, as they say. In any such fluid situation, the news is more difficult to accurately report because not every decision is made. For example, if the company was bankrupt and going completely out of business (which phrase was used by another aviation reporter), the predicament might simply be reported as such. Cockpits don't get much simpler than this, but do you really need more to have fun aloft? Hirth's 71-pound F23 delivers 50 horsepower making Sprint, or Max 103, a strong performer. You could say 15,000 aircraft buyers can't be wrong and you'd be right. Quicksilver, in several various corporate iterations, has indeed sold 15,000 aircraft kits for its whole line including what they call the MX series and the GT series. Going back to the early 1980s — or even earlier when the company was a hang glider producer under the namer Eipper Formance — the company has made so many models I could nearly fill a post with the names, so I won't try to list them all. Suffice it to say this is one of the most prolific airplane companies since the Wright brothers first flew. Today, the line up includes the aircraft in the nearby photos called Sprint. It's a single seater, now positioned as the MX-103. As the company notes on their slickly upgraded website, "[We are] launching the MX 103 a legal ultralight with 50 horsepower engine for $18,900 fully assembled." They note that MX 103 is based on the MX Sprint that has a long track record of safety and ruggedness in an open air flying machine. So, here's another Part 103 ultralight we saw at Sun 'n Fun 2015 that sells for less than $20,000. Maybe even the naysayers (those that claim aircraft can't really legally meet Part 103) will grudgingly admit you might make a proper weight shift trike or powered parachute that can stay in the parameters but, "You can't do it with a three-axis airplane or if you can it will have such a weak engine a buyer will want more power and that will push it out of Part 103 weight." Man, if I had a dollar for every time I heard that ... I could probably buy an MX 103. Sprint has long been able to meet the confining weight limit of Part 103 — 254 pounds empty or 278 pounds with a parachute plus another 50 pounds allowed for floats. This presumes the buyer didn't load the aircraft with options. Admittedly some of those Part 103-eligible vehicles did indeed have a less powerful engine and the doubters might be right that you'd want something that could give a more robust climb rate. With the Hirth F23 powering the MX 103, I say that problem is solved, and how! 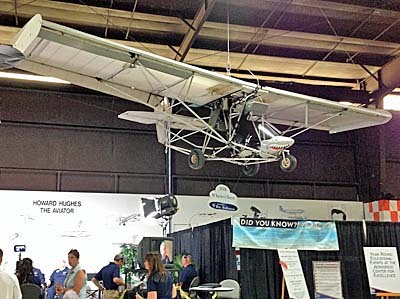 Hirth has long offered a line of engines that Part 103 producers have used. One of the most popular is the F33, a single cylinder engine that can be supplied with electric starting. It is so light, a Part 103 aircraft can still accommodate the battery and wiring to allow push-button starting. However, it only offers 28 horsepower and while that works, it isn't particularly energetic. With Hirth's F23, all that changes. This twin cylinder two-stroke engine offers a far beefier 50 horsepower and on a lightweight single seater like Sprint, that yields literally awesome performance. 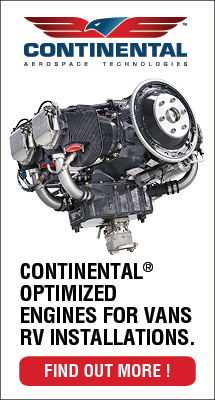 Two cylinders also ensures greater smoothness, even though Hirth engines have a reputation for smooth operation. Especially on the lightest aircraft, lower vibration is exceedingly welcome. Quicksilver Aeronautics the factory based in Temecula, California, worked with the F23 but couldn't get it where they wanted it. So, Heavenbound Aviation's Andy Humphrey jumped in and, working with longtime Hirth U.S. representative Matt Dandar, managed to solve the installation problems. What visitors to Sun 'n Fun saw at Air-Tech Inc., display was the aircraft in the photos that I'm told is working beautifully. Congratulations to Andy and Matt! I'll bet Quicksilver is thrilled. Although Matt had worked with Quicksilver for some months, the challenges remained and new Quicksilver dealer Andy arranged to have the aircraft brought to his location in Ohio, conveniently closer to Matt's shop, and the two of them wrenched on the issues. The Hirth F23 only weighs 71 pounds (77 pounds with electric starting), said Matt, helping to keep Sprint within parameters even without an emergency parachute. Using a 'chute should allow electric starting as the parachute systems generally weigh a few pounds less than the weight FAA calculates for it. The installation was problematical as F23 has opposed cylinders and dual exhausts. On our new video, Matt explains gives more detail but basically they solved the problem by inverting the cylinders putting the carbs on top and exhausts on the bottom. Andy was the brains behind the motor mount parts that allowed the engine to be mounted underneath the wing — making upper wing surface airflow that much cleaner. We saw this configuration last year but the engine was on top and that simply wasn't the best. Now it's working great, Andy and Matt agreed. How great? I wondered how a lightweight Part 103 airplane performs with 50 horsepower? When I asked, Andy smiled broadly and said ground roll is 25-35 feet. Whoa! Talk about your short field take off airplane; only a helicopter can beat that. Andy added that stalls come at only 16 mph (a mere 14 knots). Given Quicksilver's long reputation for this model and its wonderful safety record, here's an airplane almost anyone can afford and everyone can enjoy. Heavenbound will build Max 103 for you and Andy said you can buy an RTF machine for less than $20 Grand! Andy reported that one pilot with experience in Quicksilver who flew this Max 103 was hesitant to even use full power. That's a major difference from most Part 103 three axis airplanes and this adds a reason why the 103 sector appears to be reenergized. Thanks to Andy and Matt for sleuthing the problems and making for a wonderful new Part 103 entry. You could say 15,000 aircraft buyers can’t be wrong and you’d be right. Quicksilver, in several various corporate iterations, has indeed sold 15,000 aircraft kits for its whole line including what they call the MX series and the GT series. Going back to the early 1980s — or even earlier when the company was a hang glider producer under the namer Eipper Formance — the company has made so many models I could nearly fill a post with the names, so I won’t try to list them all. Suffice it to say this is one of the most prolific airplane companies since the Wright brothers first flew. Today, the line up includes the aircraft in the nearby photos called Sprint. It’s a single seater, now positioned as the MX-103. As the company notes on their slickly upgraded website, “[We are] launching the MX 103 a legal ultralight with 50 horsepower engine for $18,900 fully assembled.” They note that MX 103 is based on the MX Sprint that has a long track record of safety and ruggedness in an open air flying machine. "It's still the best," is a phrase I could use referring to Quicksilver's most-popular-of-all ultralights in general, the Sport 2S. Indeed it remains a delightful aircraft and the strutted construction appeals to many pilots. Or, I could be referring to flying an ultralight on floats, that being one of the very best ways to enjoy an ultralight. Or, I could be talking about both. You'll want to read on and see. I might also be talking about the strutted version of the venerable Quicksilver model being the best of the design series. Or, I might be talking about the innovative company representing the Quicksilver 2S on floats in central Florida. Every one of these statements is accurate in one way or another. It was my pleasure to fly the Sport 2S on Full Lotus floats and it surely was a dandy experience. Is it the best? Well, it might be for you. AERODYNAMIC TRIM - One of several Stuart Fuller creations is this conventional elevator trim. He uses the standard Quicksilver placard, but applies it in a new way. Float Planes and Amphibs Most of the time I am offered a plane to fly by the manufacturer of that plane. 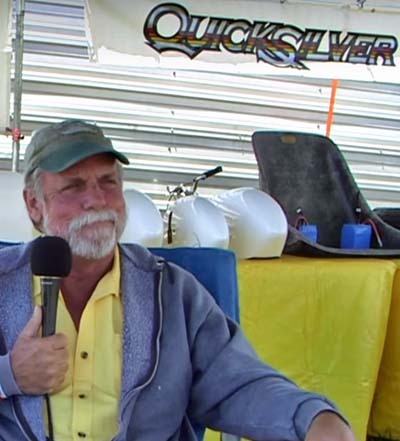 Indeed, during the week of Sun 'n Fun '04 I also flew an original Quicksilver Sprint, made available by Quicksilver Manufacturing. 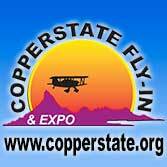 However, this report comes due to the courtesy of a new enterprise in ultralight aviation. 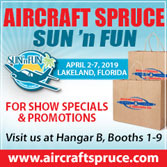 Float Planes and Amphibs - or just FP&A - is a Sebring, Florida-based outfit that sprung on the scene in 2004, and is making a big splash, if you'll pardon the pun. The new company is interesting. The face I associated with it immediately is Stuart Fuller, who has been around ultralight aviation since near the beginning and has had his hand in a number of interesting enterprises. Over the years, he's proven himself by his prodigious building skills. In the story that follows you'll see several innovations Fuller has added to FP&A airplanes. Fuller is also an experienced instructor that, along with his customer service knowledge, makes him an excellent front man for the organization. SEATS READY - If this doesn't look inviting to you, maybe you've never sampled floatplane flying. On a warm day in Florida, these two seats represent first-class accommodation. FP&A principal, Shawn Okun, says he's engaged in VoIP, short for Voice over Internet Protocol. This competition for telephone service is often sold to customers in other countries. Okun is also involved in a capital equipment leasing business (see "Lease or Finance?" sidebar) among other business ventures. His leasing business specializes in one-off or unusual equipment so the match-up with light aircraft may be a natural. 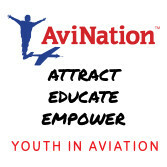 Okun honestly communicated that he doesn't expect to make a lot of money in the aviation business, but he's clearly passionate about it and is investing significantly. As they enlarge the enterprise, Float Planes and Amphibs reports acquiring the North American distribution for Full Lotus floats, and Okun says he is working on a combined operation with Sebring, Florida, airport neighbor, Spectrum Aircraft. Through this relationship, Float Planes and Amphibs hopes to ink a deal for a major representation of Ukraine's Aeroprakt aircraft company. Besides Fuller and Okun, FP&A is populated with other talented folks. Attending company leaders at their event following a day's flying on Lake Parker were Murray Halperin, representing their leasing arm, and Arron Long of Accordia Insurance. HAPPY CAMPERS - You'd smile too if you could go fly this enjoyable floatplane on a big lake in the Florida sunshine. On the right is boss Shawn Okun with builder and manager Stuart Fuller on the left. FIRST-OFF? - It may be the first of its kind, says Stuart Fuller of Float Plans and Amphibs, and he means the first Quicksilver 2S on Full Lotus floats. Here it appears in its natural habitat. Bolting On the Floats One drawback buyers have mentioned to me over the years is that those wonderful Full Lotus inflatable floats don't come with all the hardware needed to attach them to their aircraft. And it certainly has to be done right if the floats are going to work as expected. For Float Planes and Amphibs and our evaluation aircraft this month, Fuller created the attachment hardware. His method of joining floats to airframe attracted Quicksilver's interest. Many float installations on Quicksilver models tend to sit the nose components up too high, pushing your knees up in your way, says Fuller. His idea was simply to cut the length of the lower nose support struts, which lowered the rudder pedal position yet maintaining an optimal 7.5° angle of incidence for the floats. WIDE OPEN - One of the charms of Quicksilver's popular designs is the huge view. However, note the strong steel structure surrounding you. Instruments are often hung from the forward of these constructions. Fuller also uses 2-inch main cross supports for the floats and therefore needs only short inner sleeves. Most builders use slightly smaller outside diameter tubing necessitating longer inner sleeves that make the component parts heavier than they need to be. Larger diameter tubing is a more effective, lighter way to make structures strong as opposed to thicker wall tubing of smaller outside dimensions. If you don't have experience with floats, Full Lotus on a Sport 2S is one excellent way to start. The Quicksilver design survives brilliantly after almost 25 years of operation. The simple construction is still one of the best selling aircraft in all of aviation. 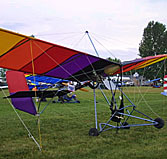 And the design remains the most commonly used ultralight trainer in the world. Before being turned loose to enjoy the floatplane solo, I flew with Okun. He explained that this aircraft was configured for a 5-foot-tall woman pilot and for her the floats were located correctly. This is also why the left-seat pedals had extenders on them. Fuller asked if I wanted them removed but they caused me no problems while flying. With two average-sized pilots on board and with full fuel (which is forward of center of gravity), the aircraft was a little heavier on the nose of the floats than might be optimal. To compensate, Okun used full aft stick position as we started our water taxiing. Without full aft stick, the floats tended to plow a little bit. As with all 2-place Quicksilver MX series ultralights, the test aircraft had a two-handed center joystick. It proves effective for training and makes for simpler linkage. Typical Quicksilver throttles were also fitted. With levers outside each seat the throttles tend to be a little stiff in motion yet flexible in action, making it harder to execute fluid changes. Though I did not fly the Quicksilver with it installed, Fuller has developed an aerodynamic trim replacing the stick trim system standard from Quicksilver Manufacturing. He says it's noticeably more effective than the conventional method. Indeed, when I flew an earlier Sport 2S, I felt the trim control needed to be enhanced for better response. Fortunately, the stick easily overpowered any control demand, and therefore use of trim on a Quicksilver MX series (the non-GT series, that is) is not vital. Besides the trim and float attachment, Fuller also makes some custom instrument panels, custom battery boxes, and special rudder pedals to accommodate short pilots. He also makes a launch cart that can be used to take off on straight floats from dry land plus it helps move a nonamphib seaplane around an airport. Part of the innovation includes a release so the pilot can discard the cart after liftoff. MODIFIED NOSE - To fit floats where a nosewheel was once bolted, some reconstruction is needed. Here Float Planes and Amphibs found a way even the factory didn't know. They shortened tubes to make the angles work out right. Also note the special rudder pedals (right in photo) for a shorter stature female pilot who flies this ultralight. Proof Of the Pudding Most pilots are interested in the nuts and bolts of aircraft. Wisely so, since you ought to know your aerial steed well before going aloft. But just as the real proof of the pudding is in the eating, in aeronautical terms, the proof of the design is in the flying. I found the 65-hp Rotax 582 with clutch and 3-blade propeller on FP&A's Quicksilver 2S accelerated quite briskly (for a floatplane; a land plane accelerates much faster, of course). Shortly after adding full power the nose of the floats tended to rise a bit, giving me confidence that lift-off would soon follow. To be sure of this, though, you start off with the center-mounted single joystick in the full aft position, which puts it aft of the seat back. You can't even see your hand back that far. 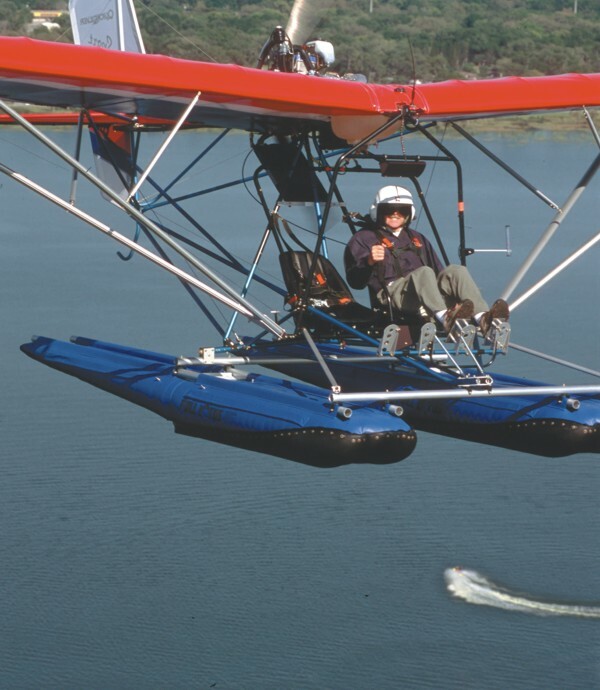 Float Planes and Amphibs mounted 14-foot-long Full Louts floats to the Sport 2S. Such large floats alter the takeoff technique in that you do not pull the nose up to break free of the water. Instead, after adding full power, you merely keep backpressure on the joystick and let the power lift the plane off the water. Similarly, on landings you don't flare due to the long floats. A floatplane flare is less deep than a wheel landing flare but with these Full Lotus inflatables it's better to do an attitude landing instead. An attitude landing is one where you set a nose position such that the aircraft may be slowing gently. Then you wait for touchdown. Navy pilots doing carrier landings perform attitude landings. Attitude landings work fine if you know the right angle to set but they don't make for the smoothest of touchdowns.Were you to flare too deeply with long floats, you might stick the back of the floats in the water and this might plop you down on the main floats harder than desired. BIG FEET - The Quicksilver flown for this report is owned by Float Planes and Amphibs, the Sebring, Florida dealership. They fitted the 14-foot-long Full Lotus floats, which gave plenty of flotation. Keeping this lesson in mind, all my landings went very well. 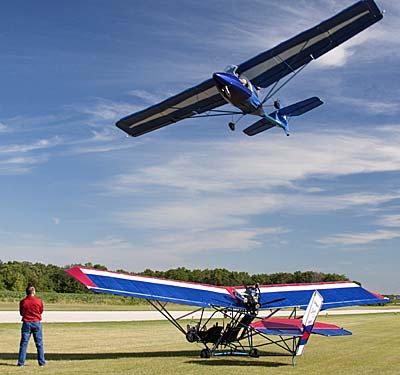 But some credit goes to the Quicksilver 2S, which, like its older wire-braced siblings, is one of the easiest landing aircraft in ultralight aviation. No wonder Quicksilvers remain widely used as trainers. I'd also somewhat forgotten how Full Lotus floats are like big pillows underneath you. Naturally, it's possible to make poor, even dangerous landings, but the Quick on Lotus floats is a great combination most folks will love. Fuller prefers Full Lotus floats as they can be landed on land with little adverse effect. Metal or fiberglass floats would be less forgiving. If you fly with straight, nonamphibious floats, this difference could be significant. Even in a state like Florida with lakes scattered all over, a land touchdown might be necessary and it's good to know how well the Full Lotus package works in this situation. Uncommon Response One clear benefit to the Quicksilver 2S struts is their more rigid support of the trailing edge that yields a crisper aileron response. Tail response (both elevator and rudder) is also sharper. You may notice the Sport 2S to be more sensitive in pitch than older wire-braced Quicksilvers. Stouter tubing support of the tail is surely the primary factor in this response. The entire aircraft possesses a tighter feel that may reassure pilots with a conventional aircraft background. 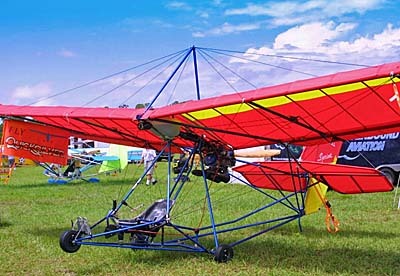 Throughout the ultralight, parts are all new. "This isn't just an MX with struts," says Quicksilver sales manager, Todd Ellefson. Virtually every fastening bracket is now a custom-machined part, often shared identically with the FAA Primary Category-certified GT 500 design. Finer roll feel from the ailerons may be due to more than the larger trailing edge spars and tubular bracing on the outside. Fuller notes that tubular bracing inside the wing versus wire bracing also contributes. Wire bracing boasts great tensile strength, but it does not provide the same rigidity as solid structure. The result of all these changes is better banking response. LAUNCH CART RELEASE- Straight floats can be used for land takeoffs if you use a wheeled cart. Float Planes and Amphibs manager Stuart Fuller created a release system to lose the cart after lifting off the ground. The tall Quicksilver joystick mentioned earlier, with its two hand positions, gives you a lot of lever arm that makes control motions easier. I found it quite easy to do Dutch rolls in the Quicksilver 2S on floats despite the added weight of about 130 pounds down low on the airframe. Employing full-span ailerons as it does, a high level of adverse yaw could be expected. Remarkably though, my probing for this characteristic found it unusually muted. Some things don't change, however, and the Quicksilver's rudder remains a significantly powerful surface. Those ultralight pilots who have become used to faster aircraft may have forgotten how the Quicksilver steers as much from its rudder as its ailerons. Even though the new ailerons are far crisper, the plane still responds easily, quickly, and satisfyingly from rudder input. Speeds were pretty good considering the Quicksilver 2S is basically a slower design fitted with large, wide floats. I saw speeds of 60 mph on the Hall airspeed indicator, a reliable measuring device. It was more than I expected and plenty of speed to get you from lake to lake. I was also able to fly around with ease at 40 mph and here's where the Quicksilver line shows its charm. With a floatplane, speed isn't the main goal. Lots of fun can be had flying low over the water and "jumping" over islands. The Sport 2S on Full Lotus floats does this kind of flying like it was born to do so. In addition to its squeaky-clean flight characteristics, the Quicksilver MX series may be the most thoroughly tested ultralights ever, a combination of professional-grade engineering and thousands upon thousands of hours in the hands of all kinds of ultralight pilots. Sure, some have been involved in accidents; it couldn't be otherwise with a popular model. But Quicksilver's safety record over the decades of its existence has been overwhelmingly trouble-free. You can depend on it remaining that way. WHOLE GANG - The staff of Float Planes and Amphibs didn't take much coaxing to pose for our camera. The whole staff was present as the dealership hosted an evening on the lake, complete with dinner, entertainment and good times. Pictured are (from left to right, back row): Shawn Okun, Ana Bonilla, Erik Steinberg, Rick Brownstein, Murray Halperin, and Arron Long of Accordia Insurance. (Left to right, front row): Rob Parlaman and Stuart Fuller. A Quicksilver 2S comes with 4-point seat belts fitted. While I always advocate such restraint, in water operations many experts feel seat belts represent some jeopardy if you're unable to undo these belts in the event of an upset. While it may not be an easy design solution, restraints that can be unfastened without challenges would be worthy for float flying. The Full Lotus floats and their respective hardware, minus the weight of wheels and axles, add about 130 pounds to the base empty weight of the Quicksilver 2S. The model with straight floats weighs about 560 pounds empty, as the Quicksilver 2S is about 430 pounds empty. This compares to a wire-braced MXL II Sport at about 330 pounds. However, I hasten to add that the heavier 2S model also comes with a gross weight increase to 1,000 pounds versus the MXL's 720 pounds. At the lower weight, it may be difficult to add floats and other equipment and still stay within acceptable load limits. By way of example for the leasing program (see "Lease or Finance" sidebar), FP&A suggests you can take home a Rotax 582-powered Quicksilver 2S on Full Lotus floats plus ultraviolet-protective paint for $27,550. Quicksilver Manufacturing sells a kit land version with similar equipment - not including the floats or special paint - for $17,475. Floatplanes aren't your lowest-cost option among light-sport aircraft, but they can deliver a fun flying experience hard to replicate with land planes. And you have to put it in perspective. Floats alone for a Cessna 172 would cost more than twice the value of this entire airplane. If the prices on the Quicksilver 2S still don't meet your needs, contact FP&A. They also represent the Krucker floats that work excellently on trikes. A single-surface trike with a Rotax 503 - which should be enough for most pilots - will cost significantly less. But you can't have much more fun than a Quicksilver 2S on Full Lotus floats. I know I'm going back for more. Notes: 1 Normal empty weight; with Full Lotus floats, weight is 130 pounds additional for floats and all hardware, according to Float Planes and Amphibs. 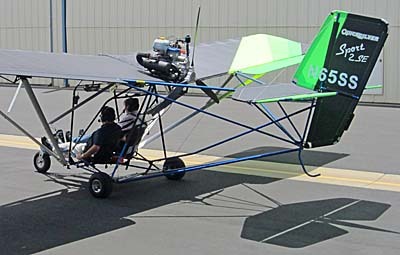 Standard Features ASI, 65-hp Rotax 582 engine, full dual controls with dual rudder pedals and steerable nosewheel (flown with Full Lotus inflatable floats with nosewheel removed), dual throttles, mechanical brakes (not as tested), in-flight adjustable trim (see article), 4-point seat belts, double-surface presewn wings, 2-blade wood prop, and extensive manuals. Options Three-blade composite prop (as flown), ballistic parachute, Full Lotus floats (as flown), instruments, electric starting (as flown). 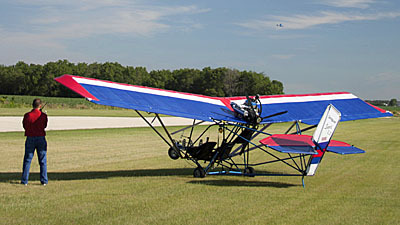 Construction Aluminum airframe, 4130 steel pilot cage, presewn and full-color wing, Dacron coverings, all AN hardware. 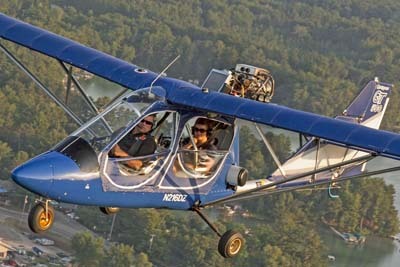 Pros - The most widely used ultralight trainer is now available with struts and Full Lotus floats. Manufacturer has a fully certified quality control systems and enormous in-house machining capability. Dealer support is good throughout the world. Float Planes and Amphibs is a well-organized dealer ready to help you in central Florida. Cons - This strutted Quicksilver is significantly heavier than earlier models; changes flight characteristics somewhat (though still very pleasant). Open cockpit won't be desirable in some climates. Some buyers who view the design as dated, even with the struts and other changes, which may affect resale. Pros - A benefit to Quicksilver's MX series is simplicity; few systems to manage. FP&A's Stuart Fuller has created an aerodynamic trim. Easy repair access. Brake lever is on front of stick where each occupant can use it. Test Sport 2S was equipped with electric starting. Test aircraft also had effective water rudders. Cons - Those looking for bells and whistles must look elsewhere. 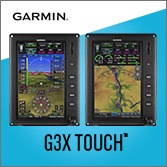 Center stick won't please all pilots (though dual throttles will). Pull starting from seat has been challenging in earlier tests. Brake lever demands a broad grip for best stopping power (no brakes on float aircraft, of course). Pros - Completely unenclosed cockpit is perfect for warm weather float flying. Entry/exit doesn't get any easier. Side-by-side seating is often considered optimal for training. Test aircraft was equipped with 4-point belts. Instruments mounted out of the way but very visibly near leading edge. Cons - Land version sits on its tail until occupied; some pilots don't care for this. Quicksilver's charm is also its vulnerability; many modern buyers don't seek open cockpit designs. Control stick and throttle have no arm rest points. Seats don't adjust easily. No cargo area. Pros - Water rudders proved quite effective for water taxiing. Visibility is open in all directions except overhead. Full Lotus floats provide great absorption. Fourteen-foot-long floats had excess buoyancy. Quicksilver's powerful rudder helps in speedier water taxi operations. Cons - Floats as fitted were actually large for the plane and required some technique on landing. Taxiing any floatplane downwind is an interesting and potentially challenging operation. No oar was provided for a possible stalled engine situation. Pros - Very straightforward takeoff; just add throttle and hold the stick full aft until the plane lifts off the water, then neutralizing. Water run and landing distances are very short. Improved roll control helps in crosswinds (though that is rarely a problem in float flying). Slow approach speed allows landing in smaller lakes. Cons - With such long floats, I was advised not to flare to a landing (requiring me to not follow established habit). No flaps to help approach control (though hardly needed). Modest splashing occurred during one touchdown. No other takeoff or landing negatives. Pros - Quite responsive roll control thanks to changed airframe on Quicksilver 2S. Pitch is quite light. Full-span ailerons work well without excessive adverse yaw. Rudder is as powerful as ever. Handling remains very respectable even with weight of Full Lotus straight floats and hardware. Cons - Pitch is light enough that new pilots could over-control. Rudder remains a significant control on Quicksilvers, which experienced ultralight pilots may actually prefer but conventionally trained pilots might not. Stick pressure is heavier in roll than pitch, causing some reduction in harmony (though my Dutch rolls went well immediately). 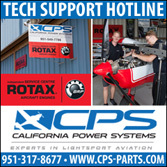 Pros - Climb is robust with Rotax 582: factory states 850 fpm for the land plane. Cruise speed was a respectable 60+ mph. Quicksilver 2S remains very tolerant of flying techniques, part of what makes it a good trainer and starter aircraft. Short water runs is a performance attribute. Cons - Engine endurance is not good because the shape is fairly high drag, especially with large Full Lotus floats. Glide is weaker than many cleaner, faster designs. Unable to measure climb during evaluation flight. No other negatives; this popular design does what many buyers want. Pros - Stall recovery is nearly immediate and a nonevent; minimal altitude loss. Prior experience says stalls are even more docile with two on board. Good spiral dampening. Push/pull-release test produced excellent results. Adverse yaw surprisingly low for a full-span aileron. Cons - Pitch is fairly responsive due to short coupling of wing to tail; some beginners may prefer less (though training would answer this easily). 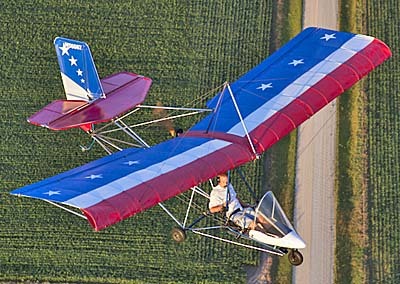 The Quicksilver design is one of the best-engineered, most reliable designs in ultralight aviation. No other negatives. Pros - Priced fairly for a durable floatplane that will answer most recreational pilots' needs. Good choice for instructors. 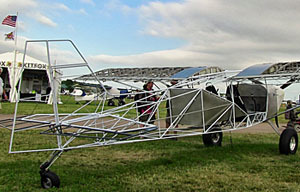 Structure is one of the most proven in ultralight aviation. 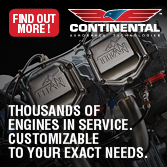 Superior support; many dealers stock parts and offer full services in nations around the world. Company's assembly, flight, and maintenance manuals are among the best available. Cons - Priced well above $20,000 (though this isn't bad for a floatplane). Design appears dated to some buyers, even with the strut fittings and cleaner upper surface. 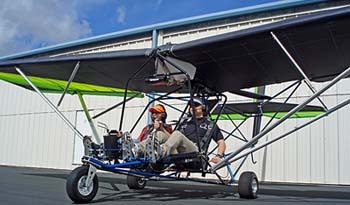 Though open-cockpit float flying is superb in warm climates, may not meet the need in some locales. Glide and sink rate performances are modest. “It’s still the best,” is a phrase I could use referring to Quicksilver’s most-popular-of-all ultralights in general, the Sport 2S. Indeed it remains a delightful aircraft and the strutted construction appeals to many pilots. Or, I could be referring to flying an ultralight on floats, that being one of the very best ways to enjoy an ultralight. Or, I could be talking about both. You’ll want to read on and see. I might also be talking about the strutted version of the venerable Quicksilver model being the best of the design series. Or, I might be talking about the innovative company representing the Quicksilver 2S on floats in central Florida. Every one of these statements is accurate in one way or another. It was my pleasure to fly the Sport 2S on Full Lotus floats and it surely was a dandy experience. Is it the best? Well, it might be for you.